Whenever you read anything on bulking up, one of the main tips is usually to eat lots of protein. So what is protein? Proteins are large macromolecules consisting of long chains of amino acids. Our body needs protein in order to be able to function properly. 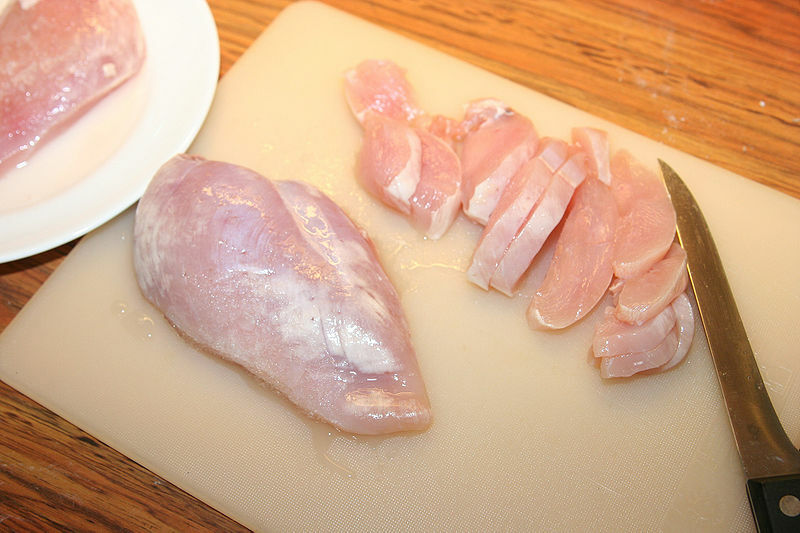 Common sources of protein include eggs, chicken, fish, turkey and other things. Proteins are a major part of basically every part of your body. They are especially important for muscle growth, as muscles are made up of small protein filaments and so proteins help in getting the muscle to become bigger. Two types of protein (actin and myosin) are also involved in movement and muscle contraction. There are literally thousands of types of protein in the human body. It can be said that proteins form the basic building blocks of the human body. What are the functions of protein in the body? Proteins can bind to other material, and because of these bindings they can perform a variety of functions. There are different types of these bindings, some of them being tight, while others pretty loose. These then have direct effects on what happens inside a cell and the body. Proteins can do many different things, such as acting as catalysts, motors, switches or signal receptors. Proteins can also build and repair things, make antibodies to strengthen the immune system, and furthermore they can make hormones and also enzymes. The functions of the different types of proteins are often dependent on what type of structure they have. 1) Repair and maintenance of different things in the body: Proteins are the building blocks of many things in the body, for example muscles. Other things in the body, such as hair, skin, different organs, are also made of proteins. 2) Provide structure: Some proteins provide structure to different elements in the body, such as bones, hair, nails and skin. 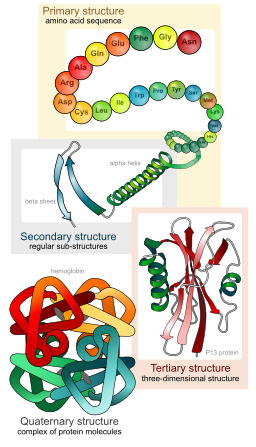 Some examples of structural proteins are keratin, elastin, and collagen. 3) Movement: As mentioned before, some proteins are responsible for the movement of muscles. The two important proteins here are myosin and actin. 4) Creation of hormones: There are different types of hormones in the body, with the predominant type of hormone being protein hormones. They are sometimes known as peptide hormones or also as messenger proteins. Insulin and glucagon are proteins that are involved in the regulation of glucose in the body. Secretin is a hormone made of protein that helps in the digestive process. Another peptide (protein) hormone is the growth hormone (GH). This hormone stimulates growth and regeneration in the body. 5) Creation of enzymes: Enzymes are responsible for many of the different metabolic processes (for example the digestion of carbohydrates) in the body. Most enzymes are made of proteins. 6) Transportation and storage of nutrients and other molecules: Different types of nutrients (and other things) need to get transported around the body and different types of protein help in that. These proteins are usually globular proteins. An example is serum albimum, which transports water-insoluble lipids in the blood. Another protein that is important for transportation is hemoglobin. Hemoglobin carries oxygen to different parts of the body. Once this oxygen gets to the muscles, within the muscles themselves, it is transported by myoglobin (which is very similar in structure to hemoglobin). There are also storage proteins, which store amino acids. Examples of these are ovalbumin and casein. 7) Formation of antibodies: Antibodies fight against diseases (for example different bacteria and viruses) and other harmful things in your body. Most are made of protein. One way that antibodies can fight against bacteria and viruses is by making them immobile and then letting white blood cells destroy them. 8) Maintenance of the acid-base balance in the body: Proteins also help in maintaining the acid-base balance in the body. 9) Backup source of energy: If other sources of energy (such as carbohydrates) are depleted, the body can start using protein to make things such as glucose and other elements necessary for its functioning. What is the structure of proteins? Protein structure is made up of four levels (primary, secondary, tertiary, quaternary). This structure is what determines the shape of the proteins. Proteins themselves can be further broken down into amino acids. In order to form proteins, amino acids combine themselves into long chains of different combinations. There are 22 types of amino acids that are encoded in DNA and are precursors to protein (there are hundreds of other amino acids which do not have this function however as well). Actually in a lot of literature you find the number of amino acids as being 20, however that is out of date as two other amino acids have been discovered (and potentially there may be more). These chains of amino acids then fold into 3 dimensional shapes, which are scientifically called conformations. There are three groups of amino acids: essential, nonessential, and conditional. Once ingested, these essential amino acids help the body to produce nonessential amino acids. Since protein makes up a large part of your body, then eating protein is very important. Oftentimes when protein is ingested, different digestive juices and enzymes break it down into its constituent amino acids and these then are recombined into different proteins in the body. You especially need to get the 9 essential amino acids into you through eating, since your body cannot manufacture them itself. If you want to get bigger muscles, then you need to eat protein. You can also get protein from protein supplements (such as whey or casein protein supplements). 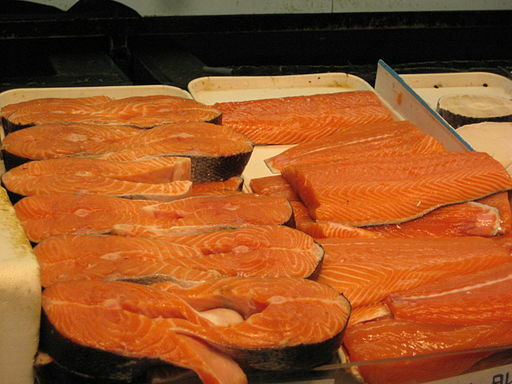 However the bulk of your protein should come from natural sources. The recommended amount of protein for an adult male is 56 grams a day, and for an adult female it’s 46 grams. Remember that these are just averages and your needs might vary based on several factors. If you are bigger than the average man, then the amount of protein should also be larger than the average. Especially if you are active, your protein intake should be higher. For gaining weight, the amount of protein you are consuming should increase, together with your consumption of carbohydrates and healthy fats. It is generally recommended that around 10% to 35% of your daily calorie intake should be from protein. If you want to bulk up and gain lean weight, then your diet should be at the higher end of the range and be around 30% to 35% protein.